The nine 2019 Festival Feature Films and the winning entries of our Short Film Competition are being finalized and will be available on this page when complete, along with pricing details for Festival Passes. Don’t forget that your Festival Pass includes not only all features screened at Ciné March 25-28, but also the Closing Night Party — and even without the Festival Pass, you’re still welcome at the party for just $10.00 admission! Athens Ciné — Cinematic home to the annual Athens Jewish Film Festival. The Rialto Club at Hotel Indigo Athens—hosting our 10th Anniversary Closing Night Party. 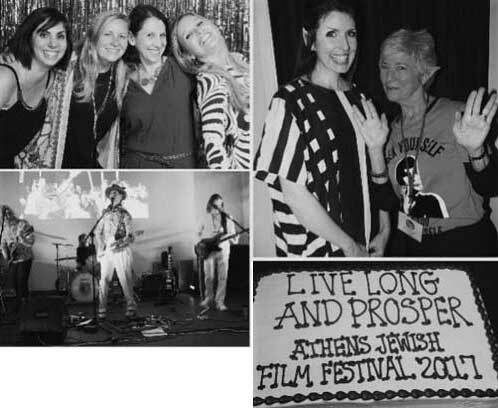 The winning films of the 2018 Athens Jewish Film Festival Short Films Competition will be screened, and all 3 Shorts Winners will receive their cash awards. • 6:00 – 7:00 PM — Closing Night Film: “Body and Soul” screening @ Ciné. • 7:30 PM —Closing Night Party with noshes, music, and cash bar at Hotel Indigo. If you didn’t take advantage of the savings offered by a Festival Pass this year, you are still welcome to join us at our 10th Anniversary Closing Night Party for $10.00. The 2017 Closing Night Party was a smash hit!